CMT have developed a special tooth geometry featuring a regular pitch to provide a smoother cut and better chip clearance preventing clogging and heat build-up. Teeth are alternate & side set to minimise binding and friction, requiring less feed pressure. The premium bi-metal with 8% cobalt provides superior results in performance and up to 50% longer lifetime. 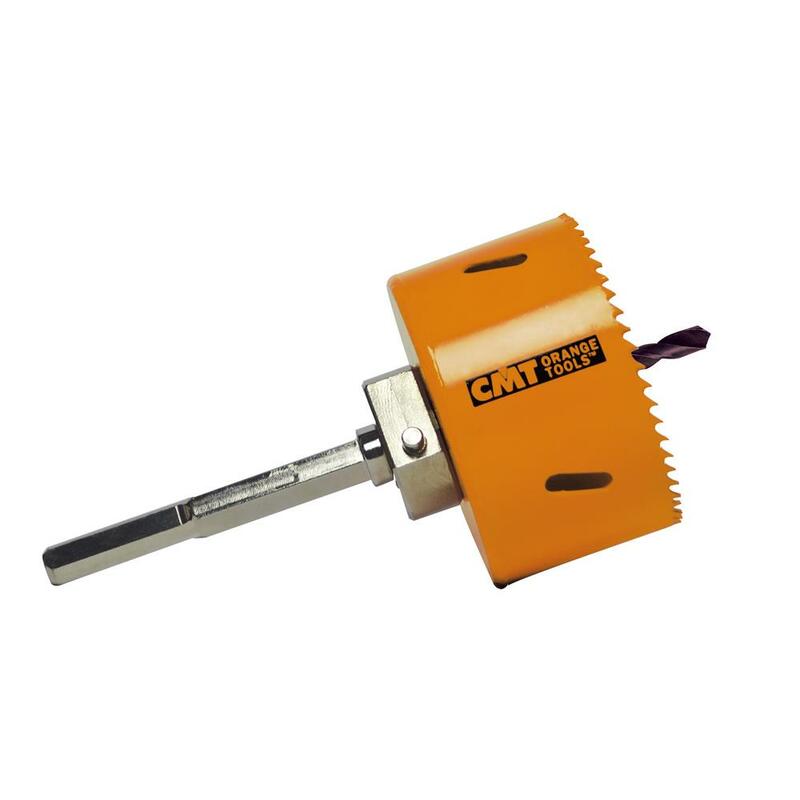 The use of a lubricant when cutting steels will extend the life of the hole saw life by up to 500%. Metals (up to 1000 N/mm2 strenght). Note: Percussion/hammer action mode must be turned off when using these hole saws.